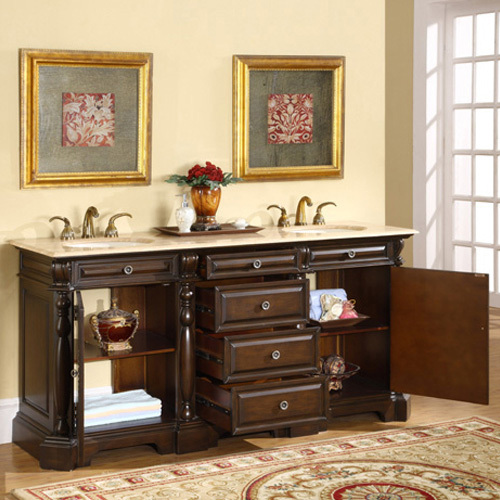 The Mesola Double Bath Vanity brings a sophisticated atmosphere to any bathroom. 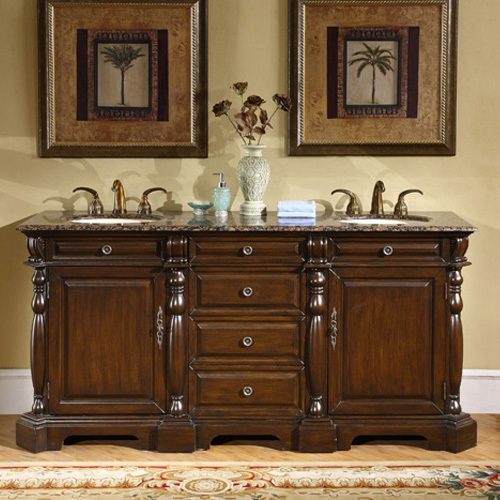 It features beautiful carved columns that frame each cupboard. The cabinet is hand crafted and painted, so each Mesola is a unique piece of art. 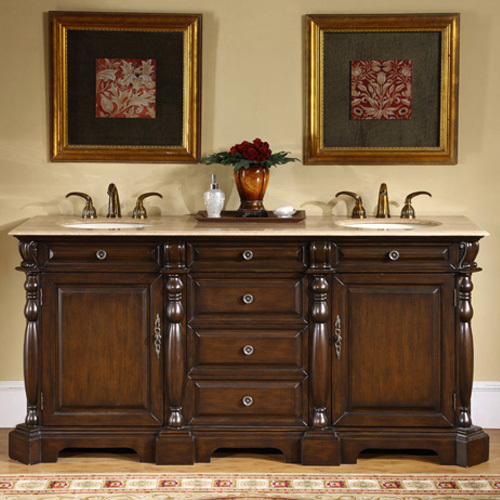 The countertop is available in either Baltic Brown Granite or Travertine. Both come pre-drilled on each side for faucet installation, and both options include an ivory ceramic undermount sink. 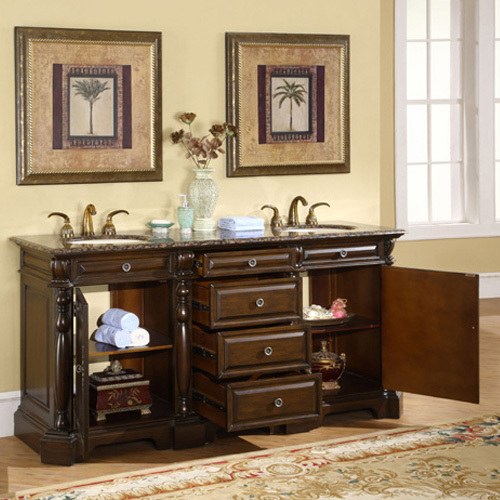 Four drawers and two doors provide room to keep your bathroom stocked and tidy.